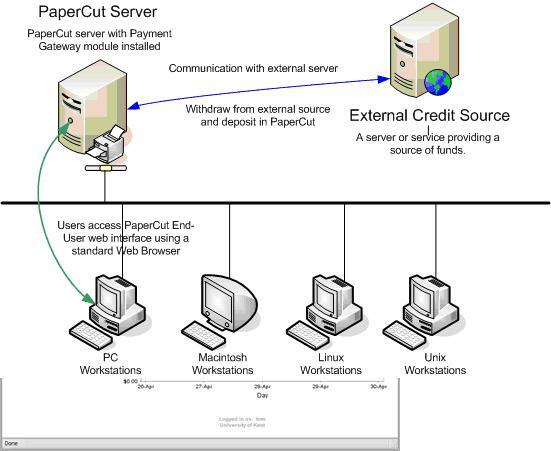 The PaperCut Payment Gateway Module is an additional component providing services that allow users to transfer funds from an external source (hardware, software, payment gateway, service) into their personal PaperCut MF copy and print accounts. The MJP Bill Box M-500 is today's most affordable equipment available for market savvy institutions looking for an efficient way to recharge student accounts. “Cash-to-Account” functionality in addition to the PaperCut MF Print Release Module compliments these units, providing a student self-service environment requiring no additional onsite staff supervision. This Unit adds value to Users PaperCut MF Accounts accepting such monies combinations as ($1, $5, $10, and $20). The PaperCut pay station full screen software module. PC CPU hardware (Touch Screen is Provided with the Station). USB Interface and Bill Acceptor hosted in a secure metal enclosure. The combination of software and commodity hardware makes a pay station a very affordable and simple way to accept cash payments. MJP Bill Box M-500 may be used as a combined print release station and pay station or simply as a standalone pay station. The MJP Kiosk B-1000 is today's most technically advanced and User-friendly versatile equipment available for market savvy institutions. “Cash-to-Account” functionalities in addition to the PaperCut MF Software compliment these self-standing units providing students a self-service environment eliminating additional onsite staffer supervision. The MJP Kiosk B-1000 recharges personal PaperCut MF accounts and accepts such monies combinations as ($1, $5, $10, and $20). Additionally, the collected revenue remains securely locked in a separate and independent compartment. The dynamic combination of software-hardware commodity makes the MJP Kiosk B-1000 an easily accessible, cost-effective, and highly secure method accepting various cash payments. Additionally, the PaperCut MF Application Modules may be used as a combination of both the Add Value Station (AVS) plus the Print Release Station (PRS), two valuable systems that permit Users to recharge personal accounts, as well as, navigate pending print jobs in queue. The VCA Value Loader Machine enables users to recharge their PaperCut MF accounts in a self serviced environment. This versatile hardware accepts coins and bills or a combination of both, and optionally print receipts. The PaperCut MF Payment Gateway module allows users to deposit cash directly into their PaperCut MF account. The unit is "standalone", it plugs directly into the network and do not require a computer to operate. Organizations that use a centralized account system to manage cashless payments across a number of on campus services can benefit from the PaperCut MF Payment Gateway. These systems provide a database of users and interfaces/API's to withdraw funds from the centralized account using the PaperCut MF "Add Credit" facility. The Payment Gateway module can be configured to use these API's to transfer/withdraw funds from the central database when the user chooses. Funds may be deposited using 3rd party payment gateway providers such as those provided by banks or organizations like PayPal, VeriSign and My Student Account (Asia Pacific Region only). The payment interface may be provided for internal use (e.g. for student only use), or opened up for external access to allow parents to make payments via the web. 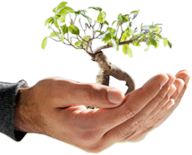 The Payment Gateway module can hook into a number of leading service providers or may be quickly adapted to fit others.